it’s the first guest post, authored by a person I really admire and respect. This article is written by Michail Moiropoulos, CTO of LightBuzz Inc., and was originally published on lightbuzz.com. As a developer, I am a big fan of Augmented Reality and its everyday applications in real-life. As a gamer, I love innovative games that provide new means of interaction and communication between the players. Pokemon Go has made a huge buzz in the casual gaming world. So, I decided to create an application that would provide this kind of experience using. This is the end result. Quite impressive, huh? Read on to find out how you can build such a holographic app in 5 steps. This project is open-source. You are free to modify the source code and even contribute to make it better! It’s hosted on GitHub. I suggest you have a look at the Unity introduction, so you have an idea about the process and the settings you’ll need to apply. Since we are all set, we can start by creating the Pokemon-Go clone project. Launch the Holographic version of Unity and create a new project. 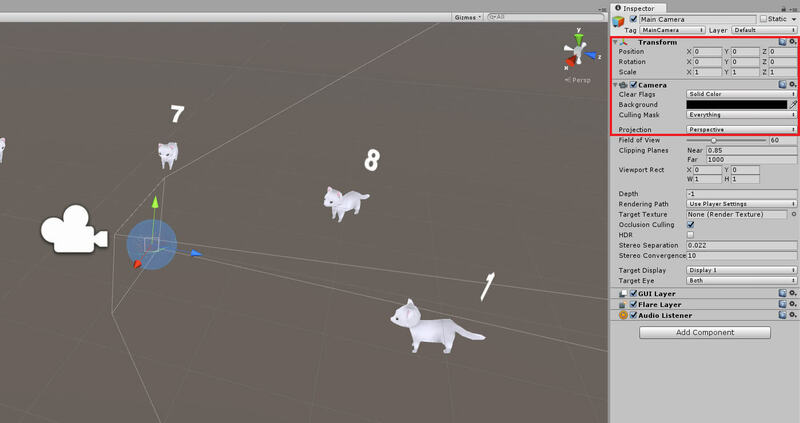 You need the 3D capabilities of Unity. No need to add Asset packages for now. The Pokemon-Go game is simple: Pokemon are all around the place. You are holding a Pokeball in your hand. When you notice a Pokemon, you have to throw the Pokeball towards it to catch it! Read more about the game in the official website. This is exactly what we are going to implement. So, open your empty Unity scene and populate it with 3D objects that represent Pokemon. You can put as many as you like. Just drag-and-drop them in the scene. Similarly, add a spherical object that will represent the Pokeball. For your convenience, you can use this cute kitten, created by Polydactyl, and this custom Pokeball, created by Angom Geetchandra (all included in the source code package). Keep in mind that scene units represent actual distances in the real world. So, if your Pokemon have a distance of 1.0 unit, you are going to see them 1.0 meter ahead in the real world. HoloLens is still an output device — similar to your screen (but more impressive). The same programming rules apply when building Mixed Reality apps. To add HoloLens-specific interaction, we have to use the HoloLens SDK for Unity. The SDK is included into the Unity installation; no need to download additional packages. Navigate to your project folder and create a new C# Script. Name it “PlayerInput.cs” and open it with Visual Studio or MonoDevelop. As you noticed in the video, we throw the Pokeball by doing a pointing gesture, known as Air-Tap. This is the most common gesture of HoloLens. It’s similar to the left click of mouse. Use that gesture whenever you need to select something in the 3D space. Believe it or not, this is the magic of HoloLens. Microsoft has done a great job encapsulating all the information we need into familiar classes and events. 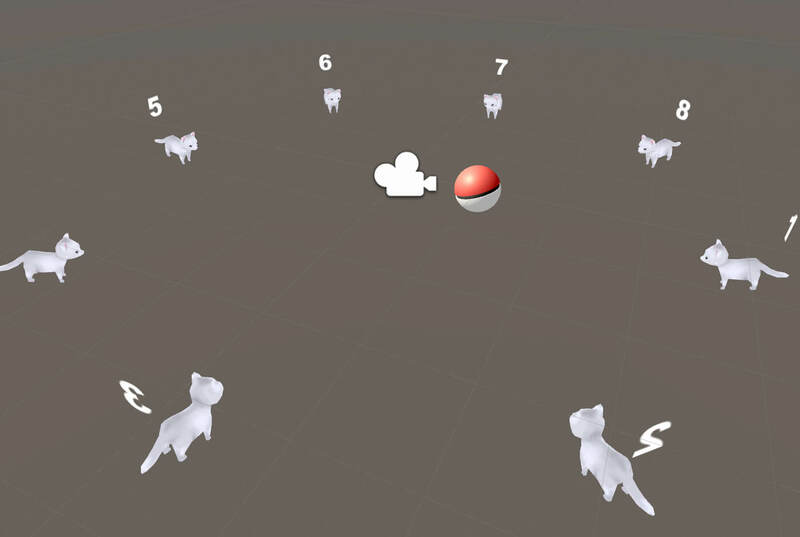 It’s now time to add some bits of interaction between our Pokeball and Pokemon objects. Create two new scripts, named Pokeball.cs and Pokemon.cs. Assign the first one to the Pokeball object and the second one to every Pokemon object. The Pokeball.cs script determines how the model of the Pokeball will move in the 3D space. Since I want to keep this tutorial as simple as possible (and focus on HoloLens), you can see how the properties and members of these classes by checking the source code. The velocity and anglularVelocity parameters are provided at runtime. These parameters can be modified to make the game harder or easier. Feel free to modify them and experiment with different values. We are almost there! We can preview our app using the Unity Editor, but we need to deploy it for the Universal Windows Platform (UWP) to test it in an actual HoloLens device (or simulator). 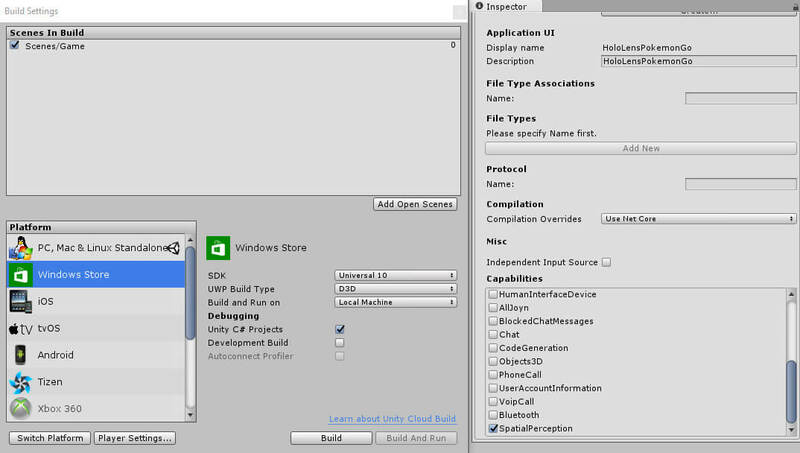 Click Build and wait until Unity creates a Visual Studio Solution project. When done, open the .sln file to launch Visual Studio. Disclaimer: we do not have any official connection to the Pokemon company. We are just huge fans of their games since our childhood! The 3D models used are not actual Pokemon; they are offered for free from their creators. In this tutorial, you’ve learnt how to use HoloLens with Unity3D and recognize the most common gestures. ‘Til the next time, enjoy the new Augmented Reality World! By the way, do you need Digital Reality experts for your next cutting-edge project? 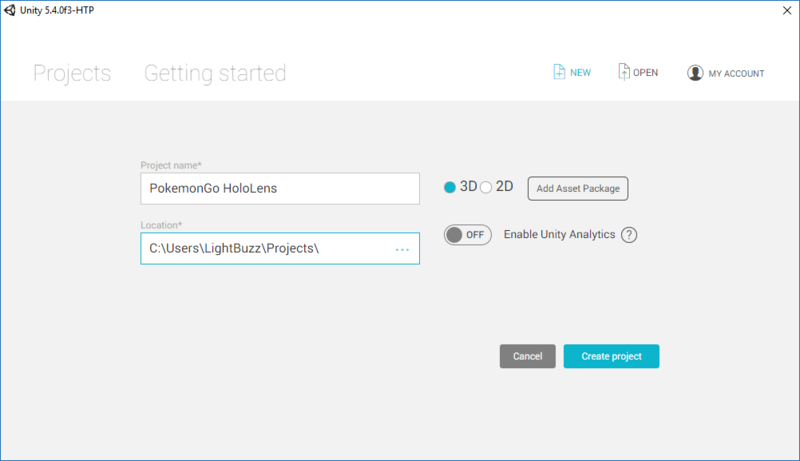 The post A Pokemon-Go Clone for HoloLens appeared first on Vangos Pterneas.